Ricky Quintana previews all of the individuals and team battles in class 3A. 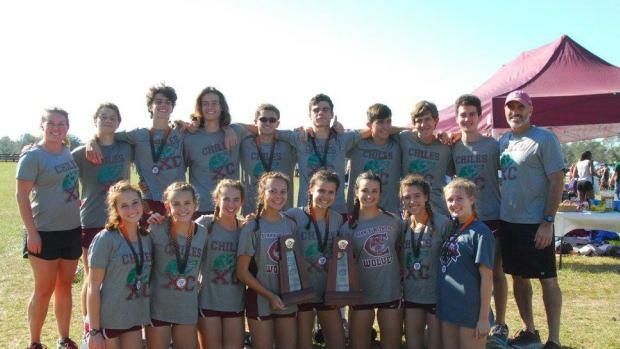 In the toughest region and a preview of the state meet, Chiles came out on top winning by 46 points. In their wake was #2 Creekside, #3 Niceville , #4 Ponte Vedra, #6 Fort Walton Beach, # 8 Leon and #9 Nease. They'll be the favorite to win their fifth title in school history and their first since 2015. Chiles could put their top 4 under 19 minutes and if they could get five at or under 19 minutes, they could win out with the largest scoring margin in state history. And who owns the largest scoring margin in state meet history? Chiles who won by 103 points over Satellite in 2008 with now Assistant Head Coach Carly Thomas on the roster as a freshman. 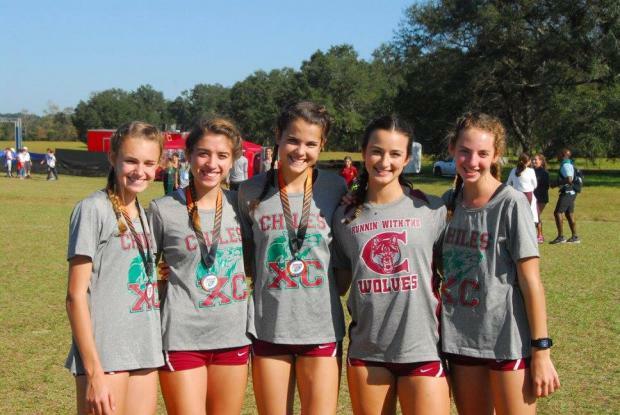 Chiles has a good top five, but will need them all to run at or near their best to secure the win. Looming in the wings is defending state champ, Niceville, and Region runner-up, Creekside. 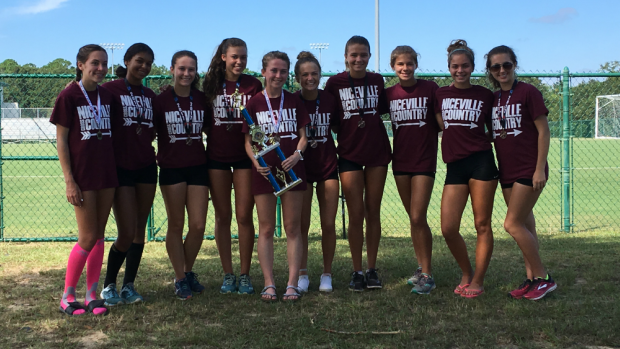 Niceville has yet to fire on all cylinders and could benefit from running on the sure footing and fast conditions that will greet the runners on Saturday. Creekside will need to get 10-15 seconds more out of their 3-5 runners to challenge Chiles and Niceville. A win for Creekside would give them two titles in school history with the last one being won in 2014. A Niceville win would give them their third title. 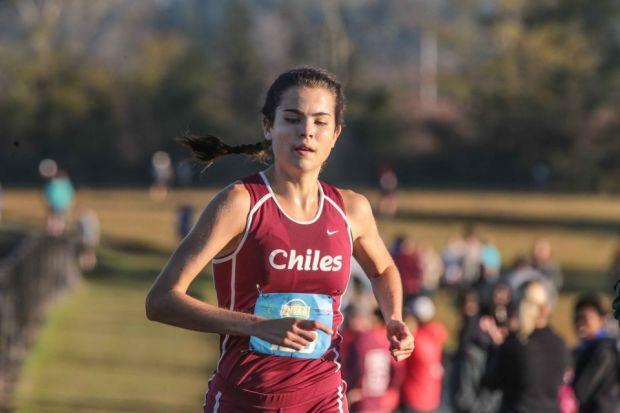 Chiles senior Ana Wallace has quietly ascended to the top of class 3A and is heavily favored to win on Saturday. Last year she finished seventh and then finished 5th in the 3200m and 6th in the 1600m at the 3A State Track and Field Championships. Modest times, but nothing like she has produced this cross country season. Her personal best of 17:26.50 in finishing 2nd at the Great American Cross Country Festival was 30 seconds better than her season best time and 66 seconds better than her best time set at state last year. "It's been a gradual. Building up over the last four years. Increasing the workout intensity every year. I definitely started off easily with my freshman coach. He wanted to make sure I would be peaking at the right time when I was a senior. It's just worked out pretty well," she said. "I've been more consistent with my workouts. Having more recovery days when it's needed. I've been all around smarter with my training this year." If she wins, it will be the first state title of her career and the third in school history. 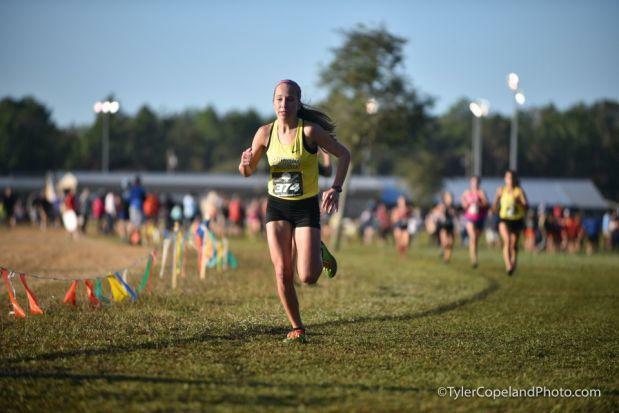 Behind her, it will be a tight battle between anyone of 7 runners: Mater Academy's Valerie Lastra, Creekside's Claire Openshaw, Fort Walton Beach's Kambry Smith, Ponte Vedra's Claire Moritz, Land O' Lakes Natalie Abernathy, Niceville's Lillian Holtery and Osceola's Taylor Stone. The team race is not clear cut. There are historically strong teams in Chiles and Belen, but no one stand out amongst this group. 3A has also seen a dip in depth of performances leaving the door wide open to three teams. Chiles is the slight team favorite. 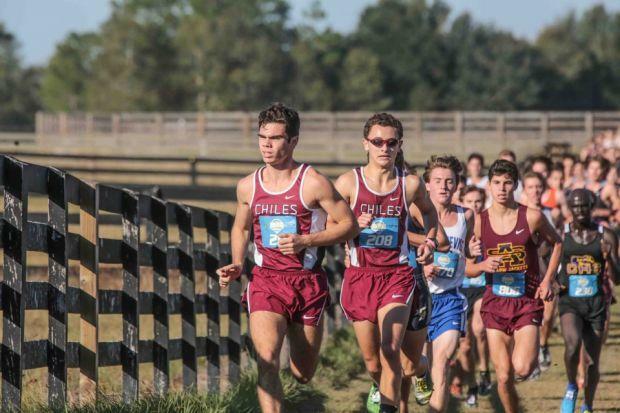 At Regionals, seniors Michael Phillips and Matthew Newland led the large pack on the narrow course through the first ¾ of a mile looking very controlled. Then there was a brief exchange of words before Phillips powered away over the last two miles to win easily in a time of 15:48.27, a new course record. Newland hung on for second in a time of 16:19.50. They were able to get the win over four of the top ten ranked teams. The Timberwolves have no room for error though. They have a solid six, but will need big races from their 3-5 runners to get the win. They'll be motivated. This tight knit group has a strong leader in Phillips. "I'd rather have a team championship rather than a state title," he said about his plan for the state meet. If he can get his teammates on the same page, they'll be tough to beat. A win would give them 5 titles in school history and be their first title since 2014. Vanguard matches up pretty well with Chiles. Their all senior team has a great top two in Joey Fitzpatrick and Diego Lavieri Sosa. They'll need good efforts from Raul Reyna, Jacob Greene and Jacob Csuka to have a chance at the first title in school history. They have no room for error either and it will take a great effort to knock off Chiles. Belen's strong suit has always been its depth. They come in with the deepest team again with seven runners with seasonal best under the 17 minute barrier. They'll need five of those seven runners to run under 17 minutes to have a chance. Joshua Collins is their lone single digit scorer and their 2-5 will need to make up for the advantage Chiles and Vanguard will have with their two front running seniors. 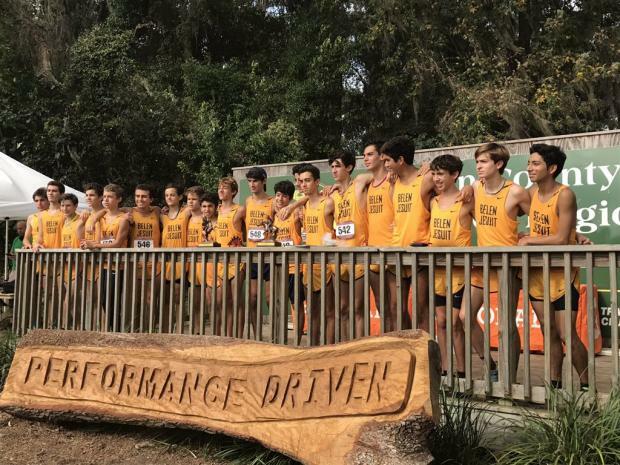 Belen nearly put five runners under 17 minutes at Pre-State and with another month should be able to improve on that performance. A win would give them nine titles in school history which would move them to second most titles in school history behind Largo. Also, Frankie Ruiz would move into a two way tie for second most boys titles (8) with Doug Butler. Defending state champion, Michael Phillips is having a great year. 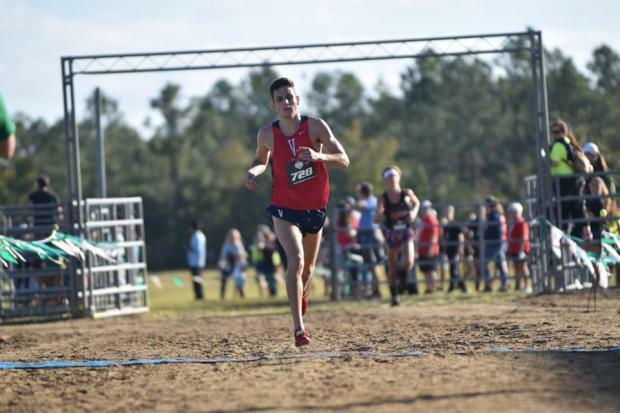 He's posted a second place finish and personal best of 14:58.20 at the great American Cross Country Festival in Cary, NC and looked strong in winning his regional meet in 15:48.27. After regions he said," I just wanted to get some up tempo before states and get the legs going. I didn't want to do anything crazy and go out too hard or run too hard." After being asked about how he feels this year, he said, "A lot better. The mileage. It's not crazy more, but just a little bit more. It's been the little things. Eating right." But more important to him is winning the state championship. The Timberwolves will be depending on him for that one point to give them their best chance. "If I get the individual and team title, that will be awesome," said Phillips. Vanguard's Joey Fitzpatricks' last foray at state was not good one. He ran 18:15.49 to finish 145th as a sophomore. It's been a checkered four years for Fitzpatrick. 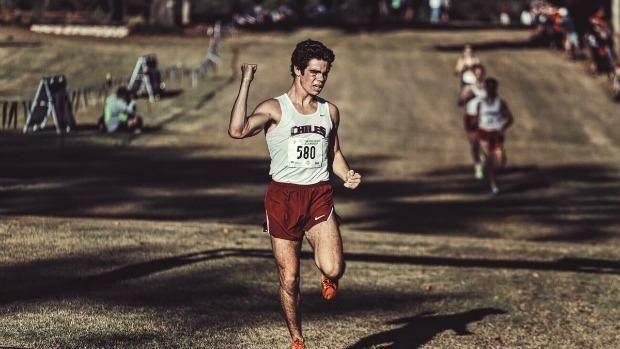 His sensational freshman year which saw him race to a fifth place finish and a time of 15:35.70 has been plagued by injuries and lapse in his training since which have resulted in varied performances. He seems to be on the upswing finishing a strong second in the 800m in a time of 1:53.35 in the spring and opening with a personal best of 15:31.70 in beating Charles Hicks of Bolles at the Spikes and Spurs. Senior years bring out great things in runners though. And Fitzpatrick has an opportunity to go out on a good note. Should be out give the inspired effort he showed in the state 800m and keep close to Michael Phillips in the late stages, I wouldn't put it past him to win. Should he win, it would be the third title in school history since 2002(Steven Hassen).